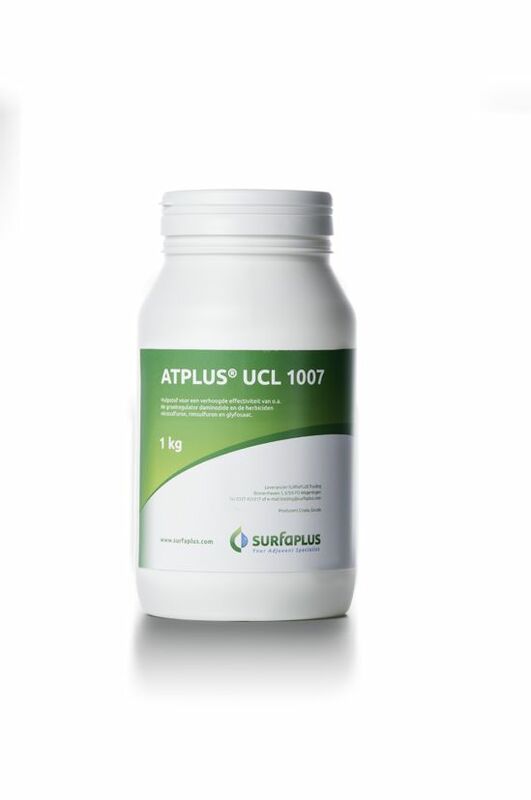 Atplus UCL 1007 is an effective adjuvant in powder form based on fatty alcohol ethoxylates and urea. When combined with the growth regulator daminozide (in chrysanthemum cut flowers) or with glyphosate or e.g. sulfonyl urea herbicides, it has a huge positive influence on the performance. As a result growers can substantially reduce the rate (50%) and the costs (up to 40%) of the daminozide application. English label text. Applications of daminozide in cut chrysanthemum, Pernettya, and Ilex verticillata became niche markets for this adjuvant. Atplus UCL 1007 can enhance the foliar uptake of daminozide in chrysanthemum plants 9.4 fold, according to an experiment at the Dutch horticultural research centre Botany. Results of this experiment are summarized in the document ATPLUS - foliar uptake daminozide. The product is too hard for most other ornamentals. For other ornamentals we sell Elasto G5. Tests with Atplus UCL 1007 and daminozide in chrysanthemum are running in Vietnam and in Japan. The adjuvant ATPLUS UCL 1007 brings much more daminozide into chrysanthemum.